Hours by appointment and very flexible, including evening and weekends if needed. 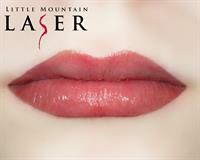 Little Mountain Laser, LLC is a friendly relaxing clinic which specializes in laser hair removal and skin rejuvenation procedures, done in a private discreet setting. The clinic is owned and operated by Lynette Emery, MD who is a licensed, local medical provider. This will ensure your safety and ability to feel confident with our recommendations. We provide laser hair removal, spider vein treatment, sun spot reduction, skin tightening on all body areas, tattoo removal, medical chemical peels, microdermabrasion, Botox and multiple types of injectable fillers such as Restylane and Radiesse. Our product lines include Jane Iredale cosmetics, SkinMedica skin care line, and Latisse. GPS instructions will get you here but details help. When heading East on Hickox, pass Sahale Dr on left, pass 5 driveways on the left, our road looks like a 6th driveway. Turn left and go 1/3 uphill.